Portland International Raceway has had a long and rich history, built on the remains of what was once Oregon’s once second largest city, Vanport. Initially referred to simply as West Delta Park, the first race was held in 1961. It grew slowly and improved with the introduction of professional racing and with the help and cooperation of a 20 year commitment from the Portland Rose Festival Association. Ultimately, it stands on its own… …an independent, financially self-sustaining enterprise fund unit of the Parks & Recreation Bureau. It started with vacant, reclaimed land, created a home for sports car racing utilizing the original Vanport blacktop, and with regional support underwent numerous safety improvements, added a proper roadbed for paving meeting anticipated professional road racing and drag racing standards. During this period of time PIR used the revenue from hosting multiple professional racing series to improve the facility and its safety equipment. PIR built a nationally-recognized brand as a fast, safe track very close to a large city, convenient for team vehicles and close to good food, lodging and air travel. 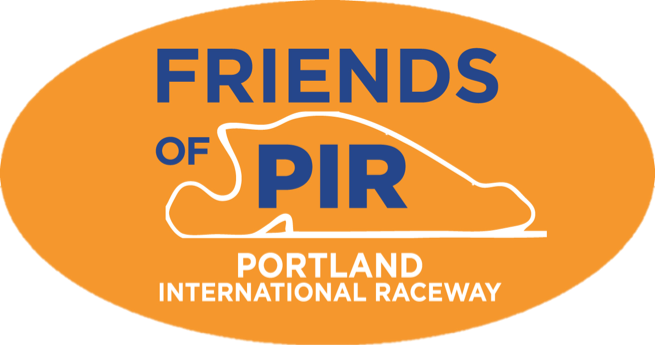 PIR is an important part of the mission of Portland Parks and Recreation and provides substantial benefits for the community. PIR is an economic engine for the City as well as Multnomah County, and to a lesser degree, for both neighboring Vancouver and Clark County. It brings in an estimated $45 million a year in economic benefit to the region. Because PIR can accommodate multiple simultaneous events, it hosts or promotes well over 500 event- days a year of activity, across a wide range of motorsports, bicycling and foot-racing events. PIR nurtures and supports more than 30 user groups, and more than 400,000 people come through the gates yearly, to watch, to participate, to learn or just to have fun. PIR must constantly adapt to a variety of economic and demographic shifts. Leading these challenges nation-wide is an aging population which is directly reflected in the users at PIR. But as one user population declines, a new and growing population arrives. Lately, bicycle and foot racers have come to PIR, relying on the versatile facility as a place to compete.